I am traveling the US to spread love and joy in order to combat the fear, hatred and divisiveness which is so prevalent right now. These are the images on the cards and stickers I am handing out to strangers on my journey. Below each one is the meaning I hope to convey with each interaction. Be kind to yourself. Have compassion for your struggles, and that kindness and compassion will radiate outward. Show kindness, even for those you don't understand. Help people when you can, and understand that with each interaction, you have the power to create happiness. You have the power of kindness at your disposal. Be kind to yourself first, from there, it will flow outward to everyone around you. Love is hard in the face of hate and fear. Love is hard when we are taught to hate ourselves, fear each other, and not trust what we don't know. But love is what we must reach for, every time. Love is the only way through this dark time. Reach for it vigilantly, especially when it is hard. All living things are animated with love energy. We might look different, believe in different things, live in different places, but in the end, we are all made of love and all need love to survive. Love is the great equalizer because no matter who you are, you are capable of feeling it, using it, and giving it. 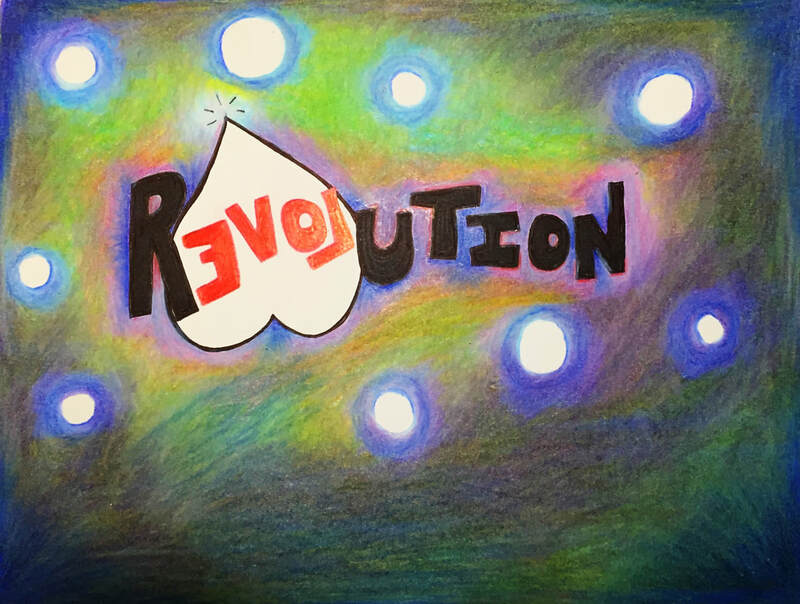 Want to support A Love Rebellion? Simply go to Paypal and donate to young.spike@gmail.com OR to Venmo and find Sara Young. Thank you so much for your support! You can also go to The Self Love Workshop and order your own cards and stickers to handout yourself!! You have the power to spread the love in any way you choose of course, this is just one way I can help you do that. 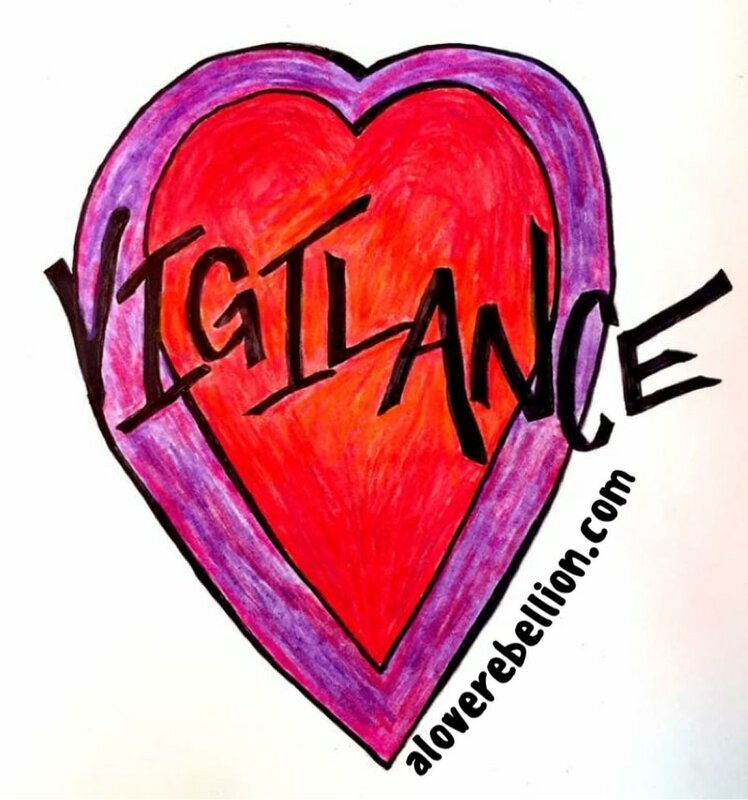 All the sales from The Self Love Workshop goes to fund A Love Rebellion, so take a look and see if anything else looks wonderful. And thank you for supporting this Rebellion. I live and love in the PNW. I call the whole region home, so if you want to reach me, email is best. Please put "A Love Rebellion" in the subject line of the email so I will know to respond promptly.